This report is about the dry laid stone walls in the Gotlandic landscape; it is also about what an international group of students learned through lectures, excursions and their working experience in the fields of Fide in the southern part of the island of Gotland. This report is about the dry laid stone walls in the Gotlandic landscape; it is also about what an international group of students learned through lectures, excursions and their working experience in the fields of Fide in the southern part of the island of Gotland. 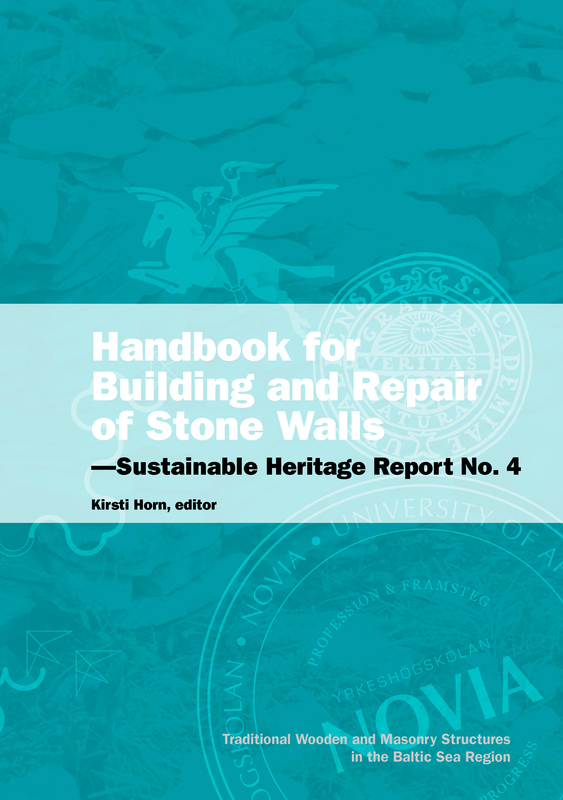 The introduction to what can be characterized as a hand book for building stone walls is formed through short articles about the most common types of stone and stone walls that are found in Estonia, Finland and Gotland. The craft of stone masonry seems to be dying since there is little demand for traditional handicrafts in the modern building industry. Yet, the historic walls that crisscross the landscape in Gotland, Western Estonia and many other stony regions of the world are an important part of our heritage and certainly worth maintaining. Some of them are declared historic monuments, others not—but they all need looking after. This handbook should guide the reader on the way. All rocks are, however, different and therefore all walls are different. It is essential to start by studying the local technique of laying stone upon stone and then to reserve a lot of time for the actual construction work. All participating students from the Estonian Academy of Arts, Estonia, Novia University of Applied Sciences, Finland, and Campus Gotland at Uppsala University, Sweden, have contributed to this report with text, drawings and photographs.